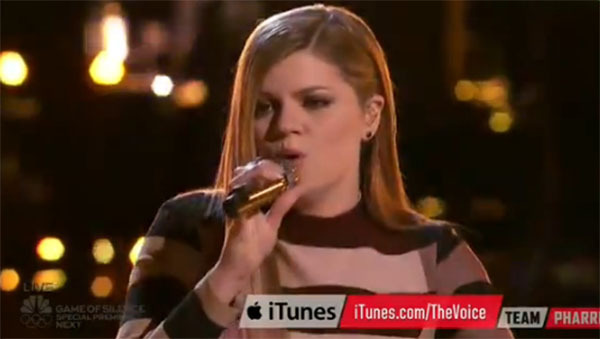 Caity Peters from Team Pharrell sings “I’ll Be Waiting” by Adele on The Voice Season 10 Live Playoffs, Tuesday, April 12, 2016. “That was awesome, I love the energy, you did very well,” said Christina Aguilera. “Listening to you reminds us were in our own jail,” said Pharrell Williams. Did you like Caity Peters’ performance? Share your thoughts on the discussion box.